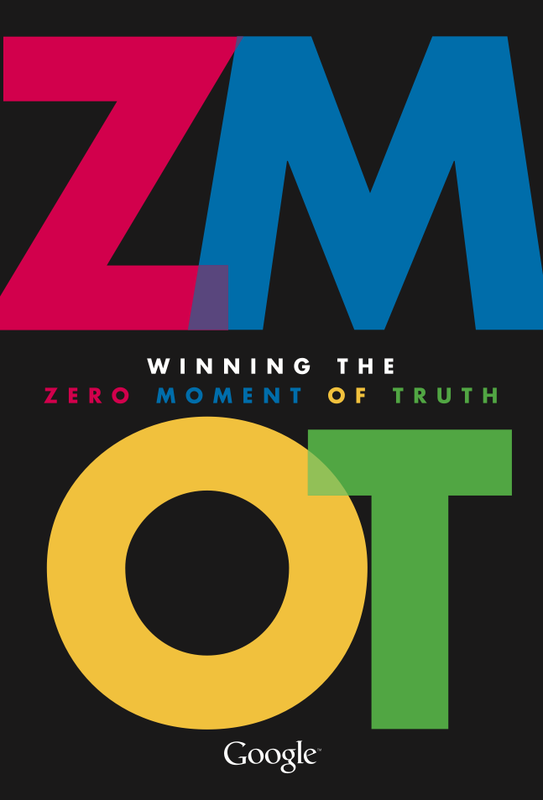 In April of this year Google published an eBook dedicated to a fairly recent marketing concept called ZMOT (Zero Moment of Truth). The concept is built around the 70% of Americans who look at product reviews before making a purchase, the 79% who use a smartphone to help with shopping, and the 83% of moms who do online research after seeing TV commercials. These are not shocking numbers, but they do frame what Google calls the Zero Moment of Truth. Along the path to making a purchase, nearly 50% of shoppers will seek out the opinions of others they know before they step foot into a retail environment. That of course complicates the traditional purchase funnel a great deal; you are dealing with a complex decision-making process that is not easily interrupted or influenced. Indeed, once a consumer makes the first step to pick up and hold a product, they have already filled their mind with the pros and cons, the positive and negative feedback and the all-too-important Jones principle (that is, the Jones have one so I must get one too). Essentially, they are coming to the shopping process armed with tons of information and your role as a marketer is to have made that ZMOT process worthwhile and uncomplicated. It’s your responsibility as a marketer to make the consumer ZMOT more social and, frankly, more memorable. How and why? Friends who shop together spend together. It’s the reason shopping malls exist, and at least part of the reason people like to watch awesome haul videos. Think about the impulse purchases you might have made with a friend or loved one present, and what role they had in the process. Maybe they talked you into it (“you deserve it!”) or perhaps they made a good recommendation of the product. Thinking about this in a more social setting, Expedia does a very good job of this – think of it as peer pressure, if nothing else – by putting a little yellow box on their hotel booking engine that lists the number of people currently viewing a hotel you are looking at, and the number of people who have booked the same hotel in the last 48 hours. 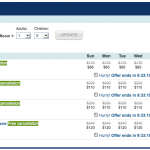 It causes you to think twice about clicking the back button and acts as the same stimulus to purchase. Product reviews should be within arm’s length of your consumer. Whether you have them on your site, built right into the shopping engine or you provide easy access to them via an aggregated serve such as Yelp or Epinions, reviews should be clearly labeled and contain star ratings as well as written content. They enable a consumer to quickly judge your product and weigh the opinions of others who purchased it. You want to make it easy for consumers to recommend your product to others. Send them e-mail after a purchase asking them to rate the product and inviting them to e-mail others about it. Ask them to post to Facebook, Twitter, Instagram, Pinterest or even YouTube (check out that haul video again if you didn’t watch it already). The easier you make it to recommend your product the more likely you’ll be to see it work. Sometimes a shopper does not even know where to begin. Perhaps they are gift shopping for that hard-to-buy-for person and are looking for just the right gift. Maybe they are interested in a category (red wine) but don’t know quite where to start their research. You can use social tools, like these from Facebook, to help them start their research. For example, Etsy.com has a fantastic tool called “Gift Ideas for Facebook Friends” that uses Facebook account information to piece together recommendations for products your friends might appreciate. Give it a try. Needless to say, all the great advocates and glowing recommendations in the world aren’t going to help without some focus on search. We think a lot about ways that social content influences search and how important it is to your reputation online. You need to put yourself in your consumers’ shoes and think about their research process, or better yet – ask them about it. Ensuring that you’ve optimized every piece of your content including social will keep your content protected in the search environment. Remember that figure from the beginning of this blog post? 79% of consumers use a smartphone to research a product. Your website, your social content, your shopping engine and other elements need to be optimized for mobile discovery and engagement. If you don’t make it easy to find your product information on a mobile device you will drive consumers to other destinations. 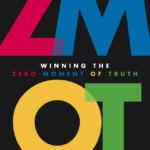 Many of these concepts span multiple disciplines in your organization and are not expressly “social” in purview, but taken as a whole the ZMOT mandate is very social in nature. Without that emphasis you will no doubt lose people along their purchase path and that is never ideal. As you think about the role social (and content) plays in your marketing mix, it is helpful to consider it from a ZMOT perspective. For the full 75-page free eBook visit the Google ZMOT site and stay tuned for the next edition of The Social Habit where we’ll be taking a more in-depth look at this topic.